Back in the spring, I had planned to make Minnie Mouse backpacks for my grand-girls. I ordered the fabric and the pattern, but then forgot to order some of the hardware I needed for the bags. Meanwhile, I was browsing on Pinterest and found a free pattern and tutorial to make a kid's bathrobe. So I downloaded it and got to work almost immediately. The girls love their robes! And I have lots of fabric left so I might be able to make those backpacks after all. Or maybe some cute zipper pouches for their hair clips and toys. Or maybe even some matching pyjamas! My original list is here and if you'd like to read about the nine projects I finished, click on the links under the collage. These are low volume "slabs" that I'm piecing to create a Regatta quilt from the book Stash Statement by Kelly Young from my Quilt Infatuation. I'm a little over halfway done with the slabs now and I haven't yet decided what colour my "boats" are going to be. I think I want to go with just one colour, but I'm tempted to go with a bunch of really bright solids. We shall see! And that's it for Q3 - which is probably a really good thing because I've not been spending a lot of time in my sewing room lately. It's been really hot around here and things are extremely busy and stressful at work so I just want to chill these days when I'm not at work. Did you prepare your list of WIPs you'll be finishing this quarter? Did you link-up? If not, you only have a couple of hours left so hurry up and go here! 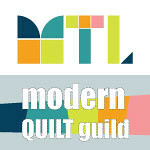 A little over half the year is gone and Yvonne, from Quilting Jetgirl, is hosting a mid-year review link party. I participated in Yvonne's goal-setting party at the start of the year, so I thought it'd be fun to see how I'm doing. Learn how to use my serger (probably with a Craftsy or Creative Bug class) - I learned how to thread my serger and used it a few times to finish seams. Make an easy woven top for myself - Done! I made a Sorbetto top for myself and I made a Cleo skirt too! Make an easy knit top for myself - Not done, but I did purchase the fabric and an easy T pattern. Make dresses for the grand-girls - Not done, BUT I did make something for the grand-girls. I haven't taken photos yet, but will be sharing all about these very soon. The Aeroplane bag by Sew Sweetness - Done! You can read all about my bag here. The Gatherer Crossbody Bag by Noodlehead - Not done, but I did make a second bag. I made Sew Sweetness' Baker Street Bag. Half done! I made three mini quilts so far this year. For the second half of the year, I plan on making a few more garment pieces, finish my Albers series of minis and I've got a few scrappy quilts planned also. Should be fun! I will be linking up at Yvonne's (I'm cutting it real close though because it closes today!). It's time to link up your list of unfinished projects that you propose to finish in Q3 of the Finish-A-Long. We are hoping that the FAL community will inspire you to work on your unfinished projects this quarter (and throughout the remainder of the year) and to get them finished! Here are the fantastic and generous sponsors for Q3 of the Finish-A-Long. you can see each of their prizes listed under their logo. Please think about visiting them and saying thank you for their support of the FAL. If posting on social media (Flickr & Instagram), it will be very helpful if you tag your list with #2018FALQ3yourname (where yourname is unique to you). Using the same hashtag over the quarter when sharing project progress or finishes helps the host to make the connection to your original list quickly and easily. The 2018 Q3 list for your list of proposed finishes is now open, below, on my blog and each of the hosting blogs. You need only link your list once, on one host blog and the link will show up on all the host blogs. If you are using Flickr or Instagram, post a photo mosaic of your projects and put your list in the description. Don't forget to include your unique hashtag. 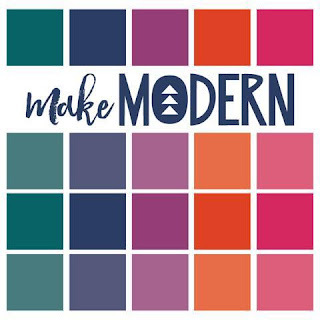 Katy of The Littlest Thistle has a great tutorial on how to link up if you need it, or Marci of Marci Girl Designs has a tutorial to link up an Instagram post specifically. When creating your list there is one thing to remember - No deductions for not completing something so - Aim High! Nothing to lose!! Well now, get your list together and get linked up. 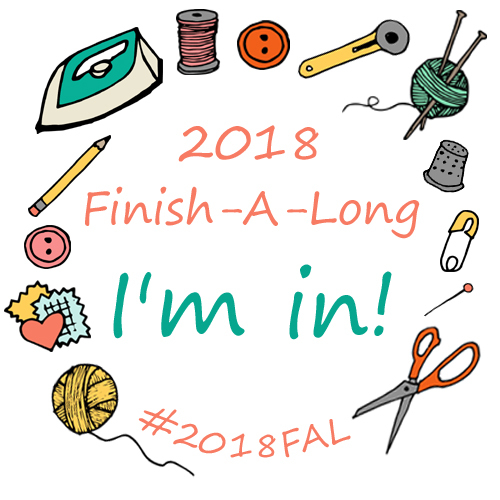 Popping in today for a quick reminder that the Quarter 2 Link Up for all your finishes closes on Monday, July 9, 2018, 11 pm EST. So you still have a few more days to finish a project or two and link them up to be eligible for prizes. The link up can be found HERE or on the blog of any of our current hosts. 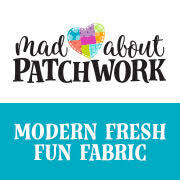 Please only one finished project for each post that you link up, so that each finish can be an entry in the (random) prize draw. Please include a link to your original list in each post of your finishes (on Instagram the link is the unique tag #2018FALQ2yourname to be used in the Q2 list post, and in any Q2 finish post). They are well worth a visit! Finally, we hope you will be joining us for Quarter 3 to do it all over again!! So get your List ready, the link up for Q3 Lists will open on July 10, 2018. The Quarter 2 Finishes link up opened yesterday, you can find the link up HERE or on any of the hosting blogs. There is still plenty of time to link up or finish those projects as the link up does not close until July 9, 2018, 11 pm EST. 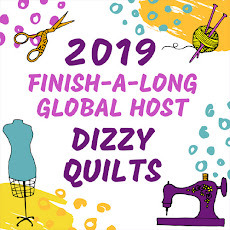 And whether you had a lot of finishes, or none at all this quarter, or you missed Finish-A-Long Q2 altogether, you can always join in for Quarter 3 which is taking off on July 10th, with the link up opening for your List of Proposed Finishes. We hope you will join us! Can you believe it, we have made it to the end of the second quarter of the 2018 Finish-A-Long and it's time to link up your Q2 finishes. We hope you have used the past three months to complete a bunch of those UFOs on your lists! The 2018 Quarter 2 link for your finishes is now open below on my blog and on each of the hosting blogs - you only need to link on one blog for your finish to appear on all host blogs. Please ensure that the photo (Instagram or Flickr) or blog post you link up contains a link or reference back to your original list so that we can verify your entry (make sure it is from the appropriate quarter, too). On Instagram, tag your photos with #2018FALQ2yourname (where yourname is unique to you), this makes it easier for us to match your finishes with your list, which also should have this tag. The Q2 Finishes link will stay open from now thru 11 pm, EST, Monday July 9, 2018 - as we are global, you might want to check your time zone to determine your last possible time to link (you can also see how much time is left below the linked up images on the right). It is best to link up your finishes early and if you have a last minute one, add that one later so you don't miss out. The prizes will be awarded as soon as we can verify all the entries and do the drawings. We will post the winners on each host's blog. Lastly, don't forget to start making your Q3 list as the Q3 list link opens on July 10, 2018.